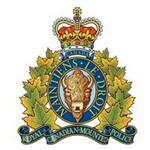 Pincher Creek RCMP – The Pincher Creek RCMP worked in conjunction with the Southern Alberta Crime Reduction Team (CRT) to target and investigate activities at a rural residence believed to be involved in drug trafficking, and harboring stolen property. The investigation was successful, arrests were made and charges laid. On July 25 the Southern Alberta CRT took carriage of the investigation and obtained a search warrant for the residence under the Controlled Drugs and Substances Act. Given the inherent risks involved in executing search warrants at known residences, the RCMP Emergency Response Team (ERT) was deployed to assist. On July 26 the search warrant was executed and three subjects were arrested at the residence without incident. RCMP Auto Theft Unit attended to work in conjunction with the CRT in identifying and recovering stolen property. Two stolen trailers; a cargo and dump type were seized. The value for these trailers is determined to be approximately $18,000. Two firearms, evidence of drug trafficking and cocaine was also seized. 54-year-old Dewey Todd Starzyk, of Pincher Creek, is charged with breach of probation (x2), possession of prohibited ammunition while prohibited and one charge of possession of cocaine under the Controlled Drugs and Substances Act. Starzyk appeared in court on August 1, 2018. 65-year-old William Peter Robinson, of Pincher Creek, is charged with possession of property obtained by crime over $5,000 (x2) and possession of firearms with no valid license. 56-year-old Sandra Lynn Wilson, of Pincher Creek, is also charged with possession of property obtained by crime over $5,000 (x2) and possession of firearms with no valid license. Both Robinson and Wilson have been released for court in Provincial Court of Alberta in Pincher Creek on September 11, 2018. The Pincher Creek RCMP Detachment continues to emphasize that if you feel there is something suspicious happening in your neighbourhood, report it to 403-627-6000.